Fill out our brief application form with some basic personal information. We will review your application immediately. Once approved, funds are typically received within 5 minutes. Repay your loan on or before the due date to increase your chances of recieving a higher loan amount and lower interest rate for your next loan. Unlock higher loan amounts and lower interest rates by repaying on time. Link your Carbon account to your primary phone number, and install Carbon on your primary device. We provide the information you need to make credit work for you. Building your credit history can enable access to even more benefits in the future. Utilize credit to invest in your business, fund your education, or cover today's expenses to invest in tomorrow. 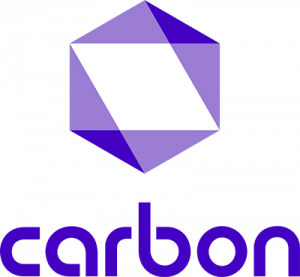 When you download Carbon, we will ask for your permission to scan your financial SMS data and other information in order to verify your identity, creditworthiness, and provide you with the fastest loan in Nigeria. We also use this to help you better understand and improve your finances with our personal finance manager. We take privacy seriously - all data you choose to share with us is encrypted and your personal information will never be shared without your consent. Failure to pay off any loans taken trigger a notice to the consumer credit reporting agency which would negatively impact an individual’s credit score. Late payments can also affect your ability to borrow in the future, so please ensure timely repayments of obligations. A Carbon loan attracts interest rates starting from as low as 5% monthly on the first loan. It is intended to meet urgent, short-term cash needs. Loans range from ₦1,500 to ₦1m with terms from 4 - 64 weeks. Interest ranges from 2% - 30%, with an equivalent monthly interest rate of 1 - 21%. We also do NOT charge any additional fees - for late repayments or processing costs.